Three Filipino Catholic priests, known for being outspoken against a wave of drug-related killings, claimed they have received death threats in recent weeks. 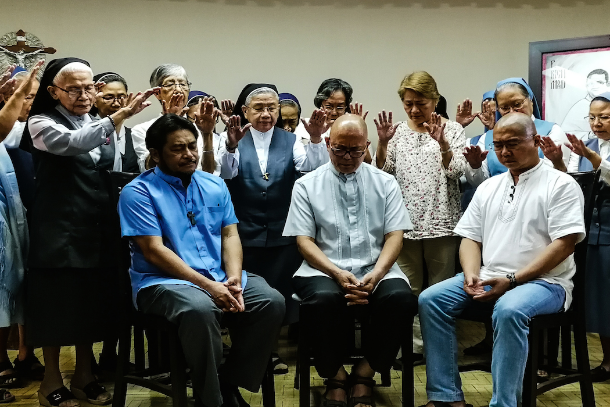 Jesuit priest Albert Alejo, Divine Word missionary priest Flavie Villanueva, and diocesan priest Robert Reyes told a hastily organized media briefing on March 11 that they are in fear of their lives. The government has acknowledged the deaths of 5,176 “drug personalities” in 119,841 anti-narcotics operations since July 1, 2016, when President Rodrigo Duterte came to power. Authorities, however, said all were killed while resisting arrest or attacking arresting officers. The threats against the three priests come soon after Bishop Pablo Virgilio David of Kalookan, the diocese where most drug-related killings have occurred, and Archbishop Socrates Villegas of Lingayen-Dagupan, a vocal critic of Duterte, announced that they had also received death threats. Authorities offered to provide security to the bishops and members of the clergy, which was declined. Father Villanueva said police should give the poor more protection. 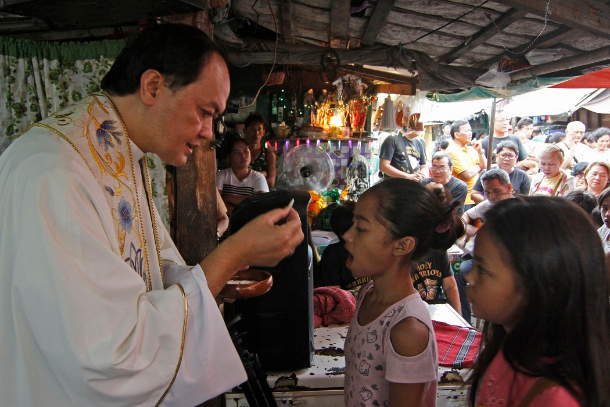 “If the police are sincere in wanting to protect lives, they should be in [urban poor] areas where many are on drug lists,” said the priest. Father Villanueva showed video footage of a masked man who tried to enter his office and residence as proof of the threat he faces. In 2018, gunmen shot dead three Catholic priests.Father Mark Ventura was killed in the town of Gattaran, in Cagayan province on April 29, four months after Father Marcelito Paez was killed in Nueva Ecija province. In June, Father Richmond Nilo was shot dead in the city of Cabanatuan. “The deadly words of Duterte against Catholics are like a dagger pointed at us,” said Father Reyes. The president has repeatedly lambasted the Catholic Church and its leaders for being corrupt. He even said bishops should be killed in one of his public appearances. “The message is clear. It’s not only people that [Duterte] wants dead but our faith as well,” said Father Reyes. The priests also appealed to the public, including church leaders, to speak out against human rights abuses and the killings. “We are calling on the entire Church…. The answer should not be silence, but clear, courageous proclamations and conviction,” said Father Reyes. The presidential palace dismissed threats against the clergy as the work of “pranksters” or by “anti-Duterte trolls” to paint the president in a bad light. He said the threats could have also come from “personal enemies” of the priests and bishops. Priesthood: What does a priest do all day?